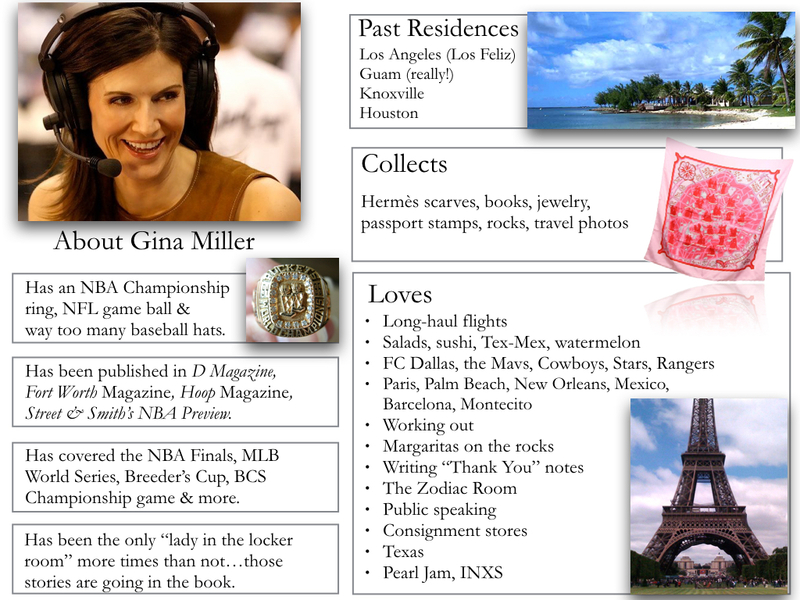 Gina Miller is a mom of one beautiful girl and a lifelong sportscaster, TV host and traveler. She is currently the Vice President of Media and Communications for FC Dallas. She has served as a sportscaster for the CBS affiliates in Los Angeles and Dallas, the NBC affiliate in Knoxville and the ABC affiliate in Dallas. 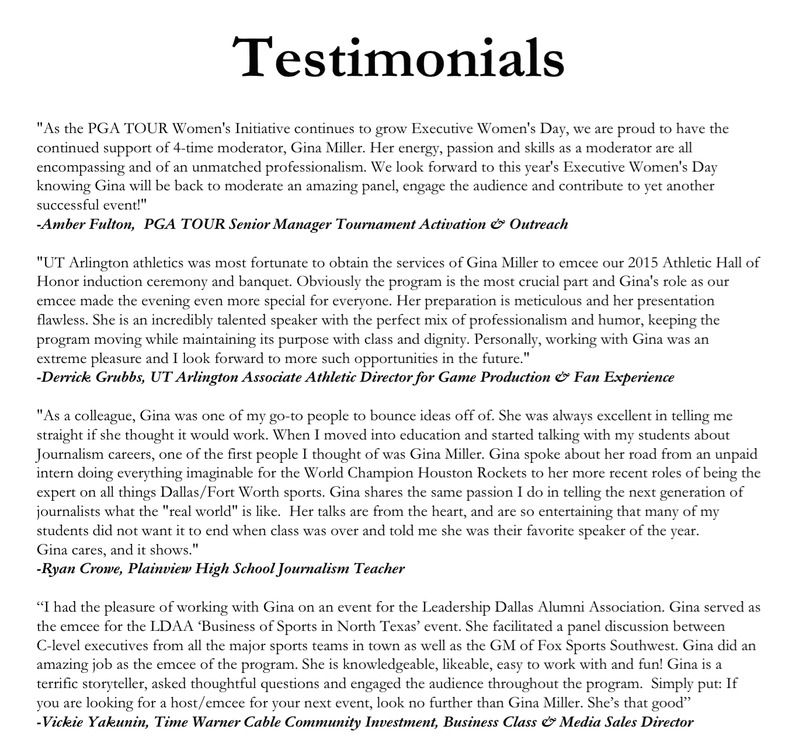 She also worked for the Dallas Cowboys and interned for the Houston Rockets. She has covered Super Bowls, Final Fours, World Series, the NBA Finals, the BCS title game, Breeder's Cup and much more. Serving as a sports anchor in Dallas for the last 15 years and as the host of the Dallas Cowboys, Dallas Mavericks, Texas Rangers, FC Dallas and Dallas Stars pre- and post-game shows. She has seen it all. Really. Gina and her daughter, Jordan, walking the runway at the 2016 ESTEEM Fashion Show in Dallas, benefitting the Elisa Project. 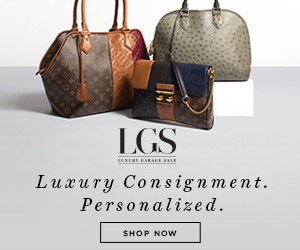 This blog is a reflection of Gina's personal interests and professional passions: travel, beauty, fitness, and accessible luxury. She focuses on covering smart, simple strategies to help working women upgrade their game. If you would to learn more about Gina's on-camera coaching and consulting services, please visit GinaMillerMedia.com. 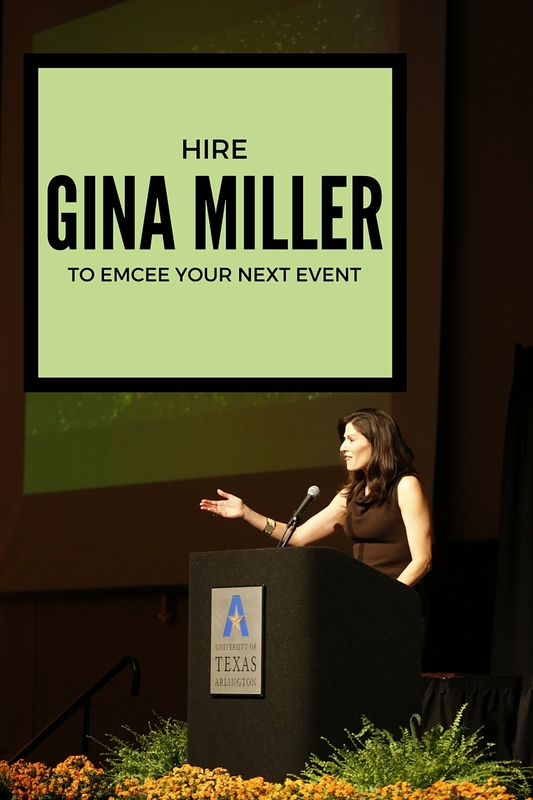 Hire Gina Miller to Emcee Your Next Event! Gina frequently speaks to classes, athletic organizations and businesses on sports, sports media, breaking barriers in sports media, how to get more comfortable and confident on-camera and more! She is also a sought-after panel moderator and has emceed a number of high-profile events with the likes of Jackie Joyner-Kersee, Kristin Johnston, Jerry Jones and more. She can also serve as a credible spokesperson for your brand. CBS11/TXA21-TV & WFAA-TV - represented both station groups for multiple appearances and speaking engagements.